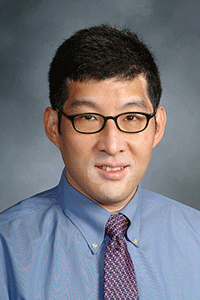 Francis S. Lee, M.D., Ph.D., of Weill Cornell Medical College, was the recipient of two Foundation Young Investigator Grants (in 2005 and 2002) that supported research on growth factors called NGF (nerve growth factor) and BDNF (brain-derived neurotrophic factor), which support the birth and growth of new brain cells. Dr. Lee wanted to see if there were alternate ways to activate these growth factor receptors in order to identify novel targets for next-generation therapies for a broad range of mental illnesses. He identified a novel brain signaling pathway to transactivate the neurotrophin receptors with small molecules that promoted neuroprotective actions, such as neuronal cell survival and synaptic plasticity (via BDNF and NGF receptors). His findings opened novel lines of investigation for development of neurotrophin-based treatments for a wide number of neurological and neurodegenerative diseases. Read the abstract for this research from the Journal of Neuroscience. Read the abstract for this research from Cognitive, Affective & Behavioral Neuroscience. Read the abstract for this research from Science.